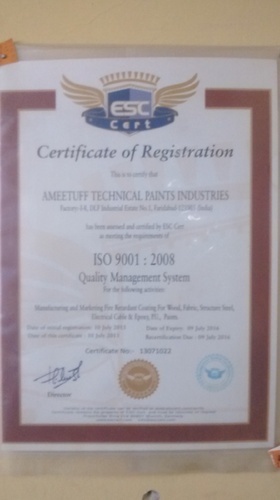 Established in the year 1989 at Faridabad, Haryana, India, we “Ameetuff Technical Paints Industries” are engaged in manufacturing and exporting a quality range of Epoxy, Polyurethane, Fire Retardant Coating, NOFLAN ( fire retardant white powder), Puro Acryl, Non-Toxic, Anti Bacterial & other Specialized Paints. In our product range we offer special Paints, Anti Bacterial Paints, Fire Retardant Cable Coating, Acid Resistant Coating, Heat Resistant Coating and Fire Retardant Coating. These paints and coatings are greatly appreciated for unique features like excellent water resistant finish, fire resistant finish and fast drying properties. Moreover, we offer these products in customized solutions to meet client's requirements and specifications. We are also offering our clients Fire Proof Clothes, Fire Retardant Fabric & Fire Stop Barriers For HT & LT Cables. We are also involved in offering a quality gamut of Epoxy Paints, Fire Retardant Steel Structure Coating, Alkali Resistant Coating and Floor Coating. Our range of products is manufactured in tandem with latest developments and requirements of the industry so that we are able to attain maximum client satisfaction. Under the valuable guidance of our mentor Mr. Ashok Sibbal, we have marked a strong presence in the industry. Moreover, his transparent business dealings and ethical business practices has helped us in carving a niche in this domain. In our organization, we have a well equipped manufacturing unit, with advanced technologies and modern machines. 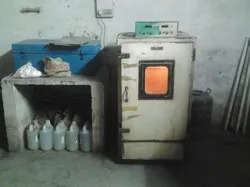 Further, our manufacturing unit is divided into different departments like product design unit, production floor, quality control department and sales and marketing department. Further, we have a manufacturing capacity of 950-1200 tones of paints annually that helps in facilitating stream line production process. Apart from this, we have also installed some machines to manufacture these coatings and paints as per industry standards and norms. Being a quality conscious organization, we strive to offer superior quality of Epoxy, Polyurethane, Fire Retardant Coating, Puro Acryl, Non-Toxic, Anti Insect & other Specialized Paints. These paints and coatings are manufactured under the stringent instructions of our paint technologist and are further tested on well defined quality parameters. We also makes sure that these products are kept safely in well maintained warehouses and are delivered to our clients in safe packaging. Supported by dedicated team of professionals, we are successfully engaged in offering quality range of Epoxy, Polyurethane, Fire Retardant Coating, Puro Acryl, Non-Toxic, Anti Insect & other Specialized Paints. These professionals are well versed with industry knowledge and also keeps themselves abreast with the latest developments. These professionals comprehends the specific needs of the customers and delivers the products as per their requirements. Moreover, all our employees work in complete harmony and unity with each other so as to achieve pinnacle of success. The quality of our product matches those of the multinational companies, while the rates are comparatively lower. 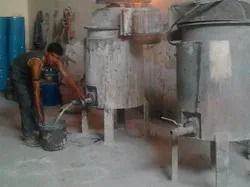 Many famous companies and organisations like E.I.L, Punj, LLoyd, Lloyd Insulations (India) Ltd., Mark Auto Industries Ltd., CIMMCO Birla Ltd., Naveen Projects Ltd., Josts Engg. 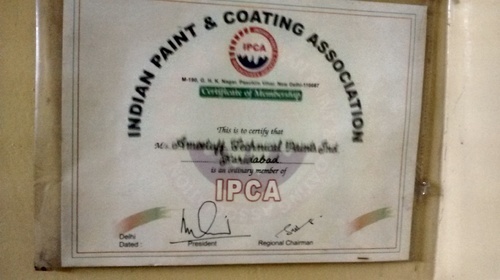 Ltd. (Bombay), Bachmann Industries Ltd., Frick India Ltd., Gallium Industries Ltd., Ultra tech , Simco ltd and many more reputed customers are purchasing paints regularly from us since 1989. Our products have passed all of their quality tests. If you are interested, test certificates from Sh. Ram Institute, CBRI Roorkee and Delhi test house can be provided to you. Quality range of Epoxy, Polyurethane, Fire Retardant Coating, Puro Acryl, Non-Toxic, Chlorinated Rubber, Anti Insect & other Specialized Paints.